GFRC Interior Columns from Stromberg Architectural Products are classically designed and crafted to the highest standards. 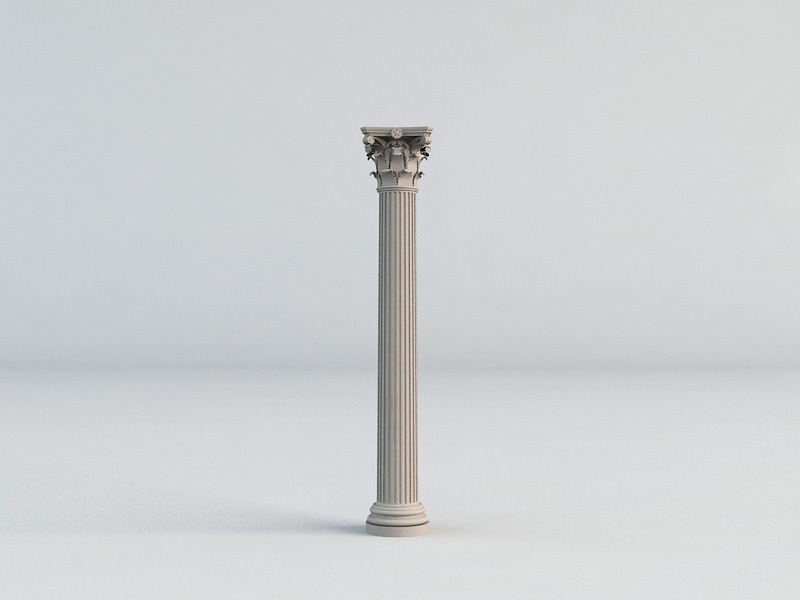 Made from their most popular product, glass fiber reinforced concrete (GFRC), these columns will be a stunning architectural element when added to your business or home. Consider these distinctive interior columns as a decorative touch only; Stromberg will tailor them to your needs. GFRC is a very versatile material and can be made into contemporary or traditional designs and shapes for that elegant touch you’ve been looking for. Your choices for GFRC interior columns are quite varied; Doric and Tuscan GFRC Interior Columns will enhance any setting with simple sophistication. For a more elaborate look, choose Ionic or Corinthian with their eye-catching details and graceful feeling. Stromberg will make your GFRC custom interior columns in standard proportions or customize them to fit into any décor. Whichever way you choose, they’ll be the best part of any room. Your interior columns can come in different sizes to support an arch or connect a countertop; they can also be used in creative ways to display sculptures and keepsakes. Interior custom columns in GFRC are one of Stromberg’s principle products, and their work can be seen in world-class resorts, hotels, churches, courthouses and retail establishments around the world. Stromberg is the world’s largest column manufacturer; they bring you diversity of design to match your décor and help you fine-tune any setting. Stromberg pioneered the use of GFRC and they have 30 years of experience working with it in many applications. They will take on your project, large or small, and make your vision a reality. Stromberg has a strong commitment to sustainable building; their GFRC will help you add LEED points to your structure. Glass fiber reinforced concrete is a durable, long lasting material that will reduce replacement, maintenance and repair costs. GFRC is very lightweight, so your fuel and transportation costs will be reduced. GFRC is a completely green product made of minerals. GFRC custom interior columns are available in a wide variety of textures, colors and stains. The artisans at Stromberg Architectural Products will work with you through every step of the process to create your GFRC custom interior columns. Their goal is to make sure what you envision is exactly what you get. Stromberg is here to help. Contact them today for your free custom quote at (903) 454-0904, and put their 30 years of experience to work for you.